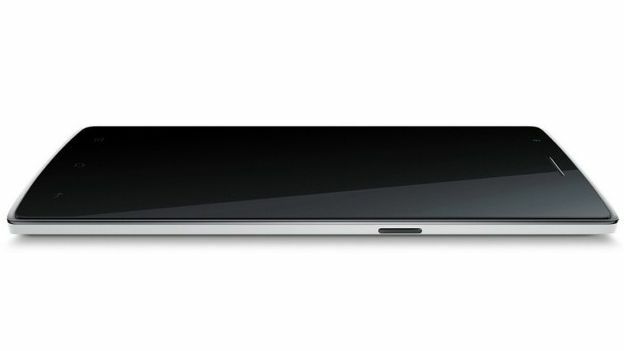 The upcoming OnePlus One has been spotted online in a leaked press image that reveals what the intriguing smartphone looks like. An image of the OnePlus One has surfaced online revealing its similarities to the Oppo Find 7. Not a major surprise, considering that OnePlus is headed by former Oppo executive, Pete Lau. An initial look at the leaked press image shows the relatively unknown smartphone looking sleek and stylish. Another image shows some of the interchangeable back covers that will be available for the device including four different wood styles, leather and denim ones as well as a cool black and white dotted one. It's priced under £290/$400 and for that you'll be getting a 5.5-inch 1080p display, a Snapdragon 801 processor, 3GB of RAM and LTE. But it also ships with the Android-based CyanogenMod OS, a popular custom take on Google's operating system. OnePlus also announced it will employ an invitation system for purchasing the One. The OnePlus One has been given an official UK and US launch date of April 23 and will be released in 16 countries.